Luxury trains recreate a more elegant age of traveling when rich and mighty used to travel long distance in gracious luxury. Journeys spanned over weeks and months and there were places and sights to see along the way as the trains crisscrossed the countryside and varied landscape. Infact so much so that Agatha Chrsitie said "Trains are wonderful... to travel by train is to see nature and human beings, towns... and rivers, in fact, to see life"
It won't be wrong to give credit to Chrstie who wrote Murder on the Orient Express to romantisize luxury train traveling in popular imagination. Traveling is something we all love. In life there are places to visit and sights to see. There are millions of way in which one could travel and one of them is the great scenic luxury trains which transports you into a different time and era. Equipped with state of the art amenities and characterized by their aesthetically designed interiors, these great trains offer once in a lifetime ride chugging through mesmerizing landscape and offering magnificent views of the some of the most naturally endowed places in the world. 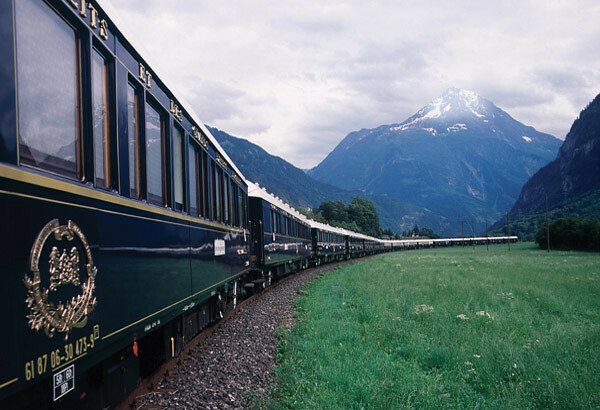 Perhaps the most authentic great rail journey immortalized in the book of Agatha Christie, Orient Express with its vintage cabins offer journeys suffused with elegance, adventure and romance. Signature journeys across Europe cover Venice, Paris, Istanbul, Bucharest, Prague and London. Rolling through the scenic landscapes across Europe, guests get to feast on gourmet cuisine and wonderful sight throughout this great rail journey. One of the most expensive ride on the planet, Royal Scotsmen train tour is also the most exclusive rail tour with a total passenger capacity of 36. 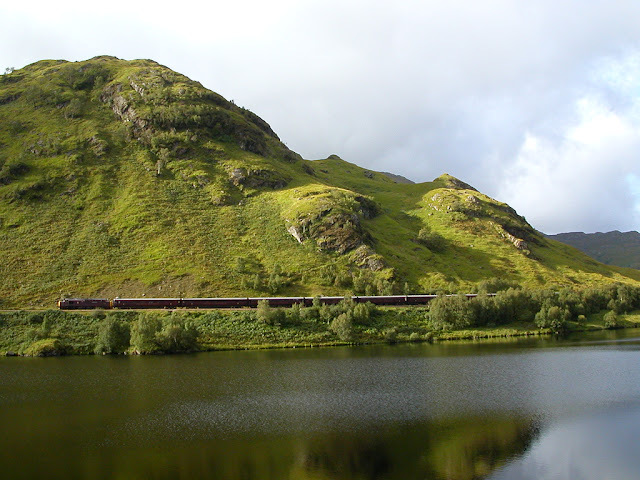 Spectacular views of the Scottish highlands, lochs and picturesque views along with five star luxury of train interior makes this one of the greatest rail journeys in the world. Observation cars with comfortable arm chairs and dining cars with air of gentleman’s club indicate the sophistication and ambience which is maintained throughout the journey. 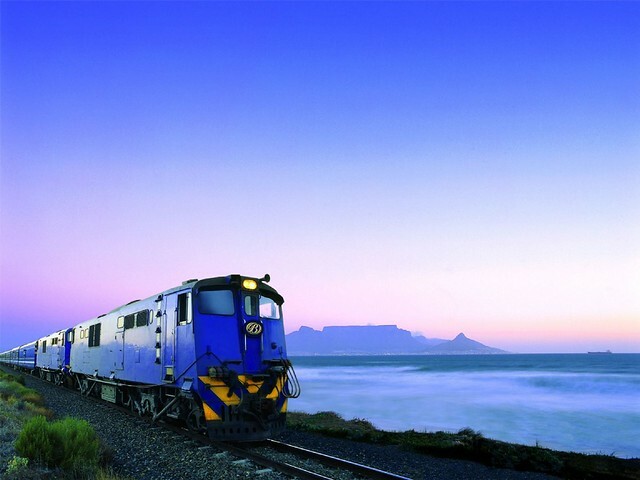 “A window to the soul of Africa”, Blue Train needs no introduction when it comes to luxury rail tour of international standard. Superior services, stylish interiors and insider experiences at the destinations makes for a truly illuminating ride. 2 day journey from Pretoria to Cape Town reaches its crescendo as you watch the moon rise over the Karoo. And even as you wake up to breathtaking vista in the winelands the dream journey draws to an end in Cape Town beneath the drama of Table Mountain. 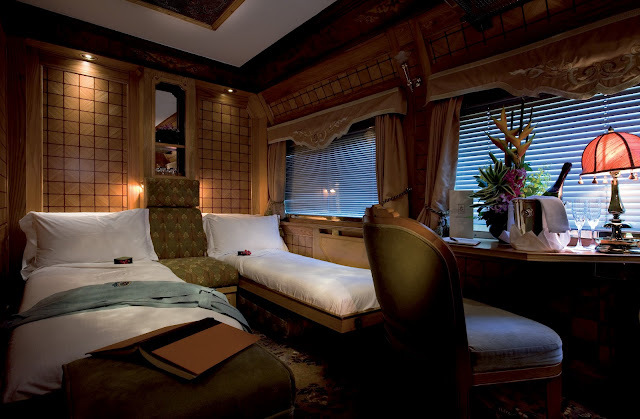 Voted world’s 4th best luxury train, Palace on Wheels is India’s most revered luxury train. In operation since 1982, Palace on Wheels offers tours to the royal destinations in the land of erstwhile Maharajas - Rajasthan. The tour spanning over 168 hours from Delhi to Agra let you discover and explore the myriad colors of Rajasthan even as you are accorded royal treatment and traditional Indian hospitality in the interiors suffused with nostalgia. A journey from Singapore to Bangkok and crisscrossing mesmerizing tropical rain forest, the Eastern and Oriental Express is one of the most luxuriant voyages in Asia. The interiors of the train radiate unparalleled élan. Palette of soft hues, muted lightings, modern amenities and gracious hospitality blend seamlessly with the naturally endowed landscape through which this luxury train crisscrosses. Spanning over 3 days, this great rail journey is one of the best way to explore the varied topography of East Asia. Winner of World's Leading Luxury Train award at the World Travel Awards, Maharajas Express has set a new benchmark when in comes to luxury train traveling in the world. Maharajas' Express offers 3 pan-India journeys and 2 short golden triangle tour circuit. On each run it could accommodate 88 guests. Dining on board is offered in 2 elegant cars and bar, lounge and souvenir shop is also available. Its plates are fine Limoges and crystal glasses monogrammed with gold M.
Maharajas' Express is also equipped with a lavish Presidential Suite spanning over entire carriage. One of its bathrooms is even fitted with bathtub. Pneumatic engine for smoother ride and sleep, dining with maharajas of India in their palaces , red carpet welcome and traditional Indian hospitality sure makes you feel like a Maharaja yourself. 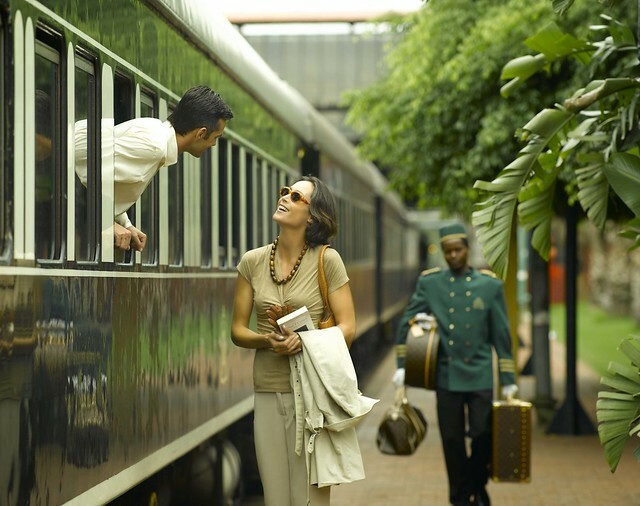 Refurbished wood paneled coaches and elegant décor recreate an ethereal ambience and with luxury amenities like lounges, bar, restaurants and observation saloon, Rovos Rail takes the guests on a journey unlike any other to some of the choicest of destinations in African Continent. The entire signature itinerary which last for 28 days and cover South Africa, Botswana, Zimbabwe, Zambia, Tanzania, Uganda, the Sudan and Egypt include journey on board the train rolling though breathtaking landscapes and aircraft ride to complete a majestic rail tour. 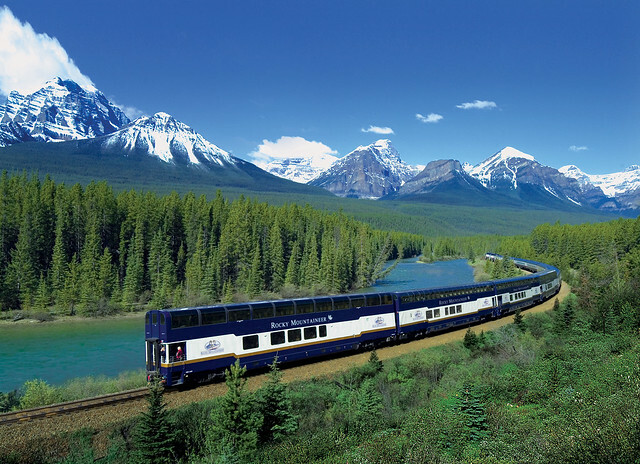 From cascading waterfalls to cotton wool glaciers and from spectacular vista of Canadian Rockies to superior experience on board, Rocky Mountaineer definitely is one of the great rail journeys in the world. 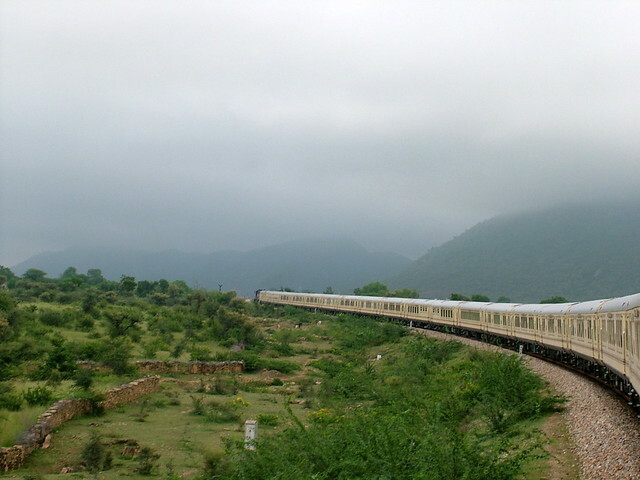 Observation cars offer panoramic view of the verdant scenery, mountain peaks and waterfalls. The guests are served sumptuous cuisine on board and taken care of by skilled crew throughout their journey. Well the name Glacier Express is a misnomer as this train which crisscrosses 180 miles in Swiss Alps in more than 7 hours is probably one of the slowest trains in the world. 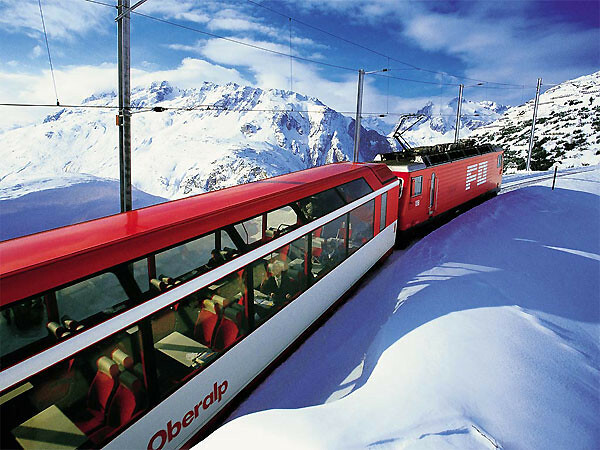 But a journey on board this train which takes you across sublime Swiss Alps and pass through 291 bridges and 91 tunnels and across Oberalp Pass. The spectacular scenery and views of the pristine Alps alone makes this journey one of the greatest rail journeys in the world. A journey from Russia to Vladivostok retracing the ancient Silk Road and crisscrossing 5000 miles of track which entails traveling through 7 time zones, Trans Siberian Express definitely qualifies as one of the great rail journeys in the world. It is often said of this journey that lifelong friendships are forged over shots of vodka during 17 day tour itinerary. Not just the facilities and service accorded to the guest during their entire journey but the picturesque view as the train rolls through the vastness of Russia is a truly amazing and one of its kind experience.